This is a confession. I love peanut butter. I like it on toast, on a banana and sometimes I just stick a teaspoon right into the jar and eat it without anything else. However, the number one way I like peanut butter is in a cookie. I saw this recipe in a magazine and knew I had to make it. Not only does the cookie itself have peanut butter in it, but the cream frosting in the center of the sandwich also contains my secret pleasure. They are delicious! The recipe is also pretty easy. Just mix, refrigerate, slice and bake. I hate recipes that are complicated and take all day. 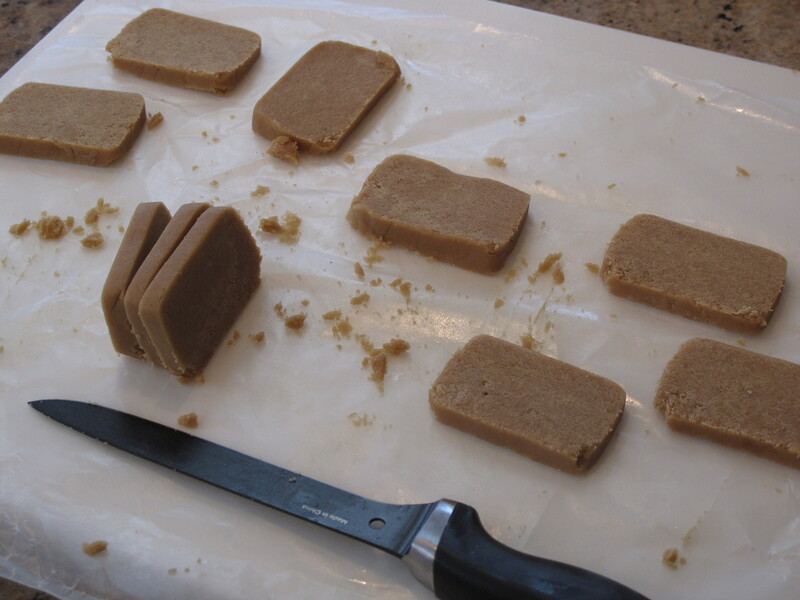 Join us here on Acorns On Glen as we make these peanut butter delights. 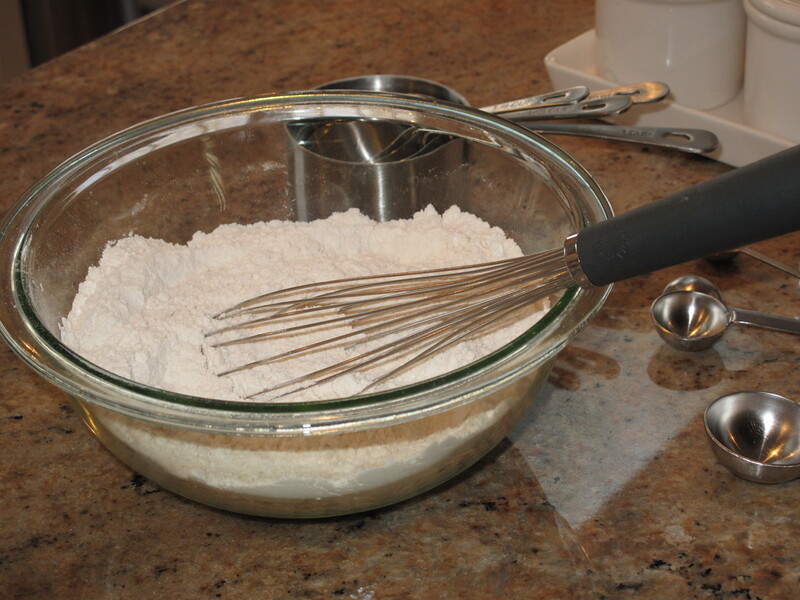 In a bowl, whisk together baking soda, salt, and 2 cups flour; set aside. 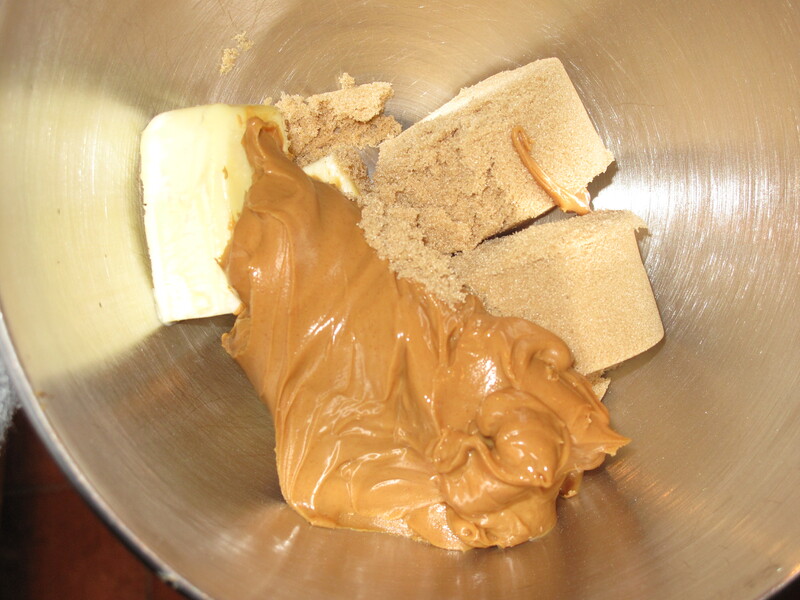 In a large bowl, using an electric mixer, beat butter, brown sugar, and peanut butter until light and fluffy; beat in egg. 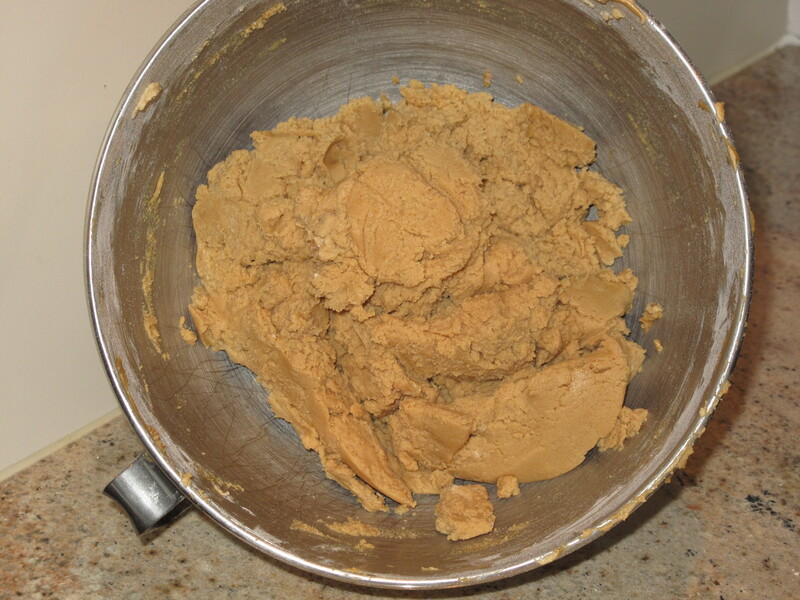 With mixer on low, gradually add flour mixture, beating just until combined (do not overmix). Form dough into two 8-inch-long rectangular logs. Wrap each log in waxed or parchment paper; freeze until firm, about 1 hour. I made mine late in the evening and chilled overnight. Preheat oven to 350 degrees, with racks in upper and lower thirds. 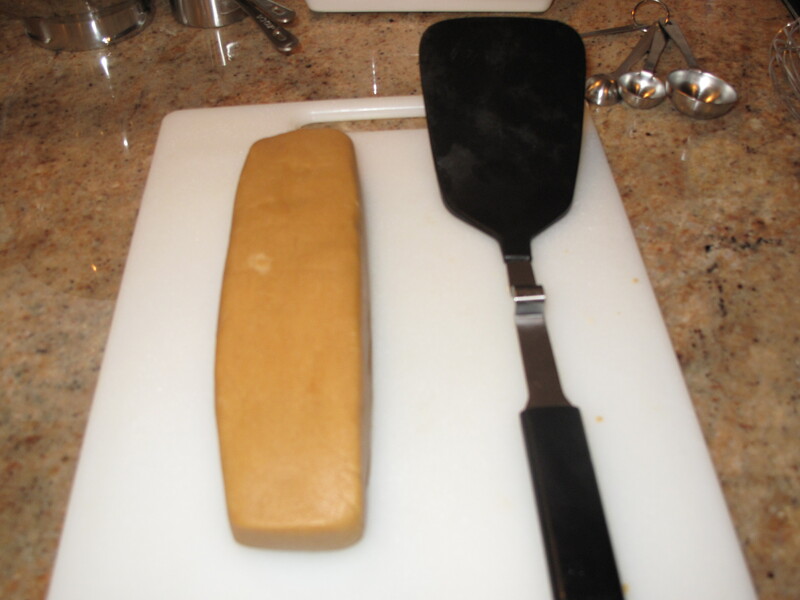 With a sharp knife, slice dough 1/4 inch thick; place on two baking sheets, 1 inch apart. 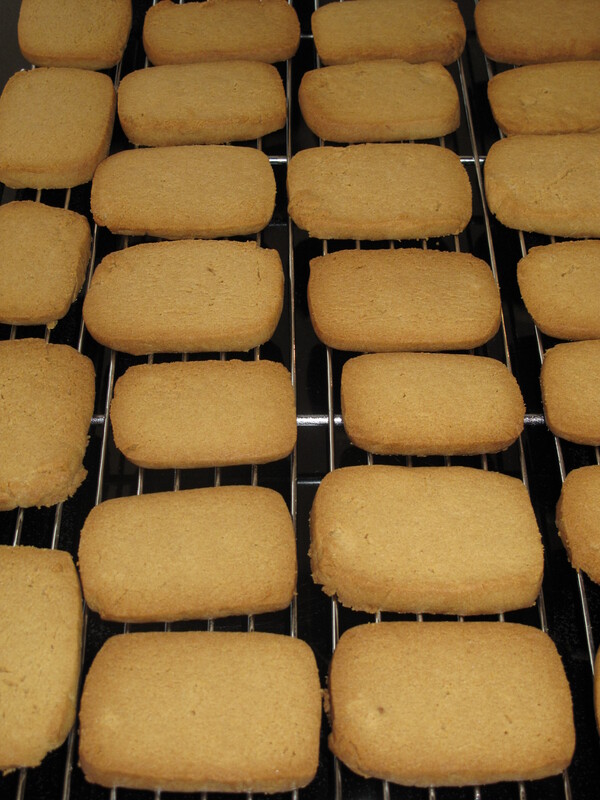 Bake until cookies are puffed, 12 to 15 minutes, rotating sheets halfway through. Transfer to wire racks; let cool. Make filling. Beat all ingredients with an electric mixer on medium until smooth, 2 to 3 minutes, scraping down side of bowl. Use immediately, or refrigerate in an airtight container up to 3 days. Bring to room temperature; stir with a flexible spatula before using. Spread about a tablespoon of filling onto the bottom part of one cookie. Place another cookie on top placing the bottom part on top of the filling. Finish filling the remaining cookies and then dive in and have a couple. The recipe makes 30 completed cookies. What food item (like peanut butter) can’t you get enough of when it is in the house? 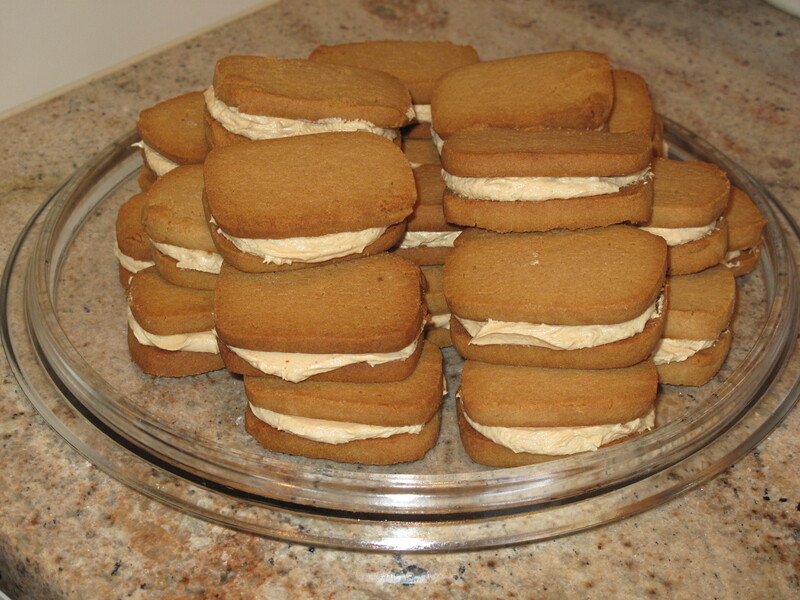 I agree–peanut butter is the best–I can hardly wait to try these peanut butter sandwiches!! A friend recently sent me a chocolate cookie with peanut butter center recipe–they are also very good! How can you go wrong with anything that has peanut butter or chocolate?? Hi Trish. Welcome back to Acorns On Glen. I agree….chocolate or peanut butter. What are two better words…or tastes. I like the idea of chocolate cookies with peanut butter filling. Post the recipe. YUM! Come back soon and see us. Oh how I wish Lent were over. I gave up several of the things I love – sweets. Please make a batch and bring them for Easter Sunday. They sound so yummy! Thanks for sharing this yummy recipe. Hi Kmart and welcome back. They taste fantastic especially if you are a peanut butter lover like me. OK, I’ll make the cookies if you make the rest of the food for Easter. It’s a deal. Come visit again soon. These cookies look absolutely delicious. Again you surprise me. I think I may try this receipe. 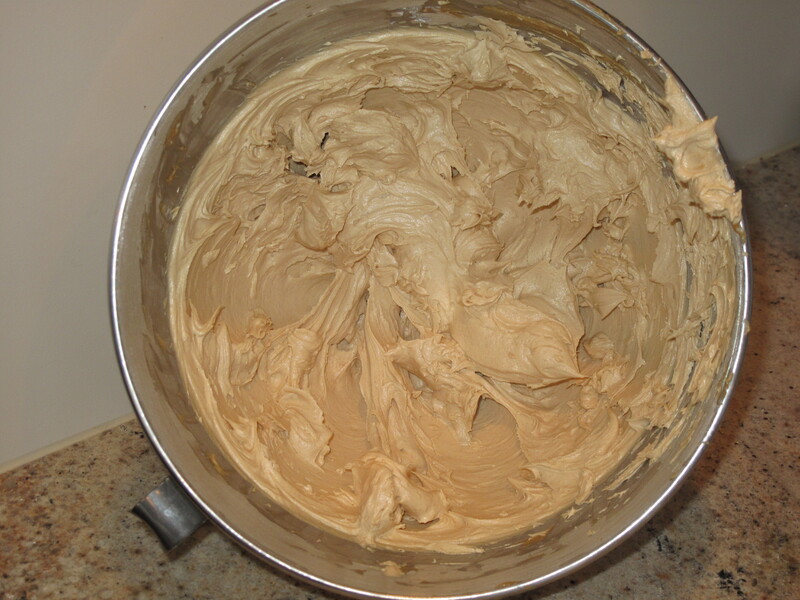 I have a hard time keeping a can of store bought frosting in my pantry. My husband likes eating the frosting right out of the can with a spoon. So if and when I bake a cake I will have to make the old powered sugar frosting. Hi Carolkin. You will never eat store bought frosting after you make these cookies and the filling. If you like peanut butter, you will be a fan. Come back and visit soon. Tried the PB sandwich cookie recipe. Excellent! Because they resemble small PB&J sandwiches, I decided to add some of Trish’s homemade jam to some of them – they were great. Also good with a little nutella. Great suggestion, Don W. I think I’ll try the jam next time around. Glad you liked them. Come back and visit soon.